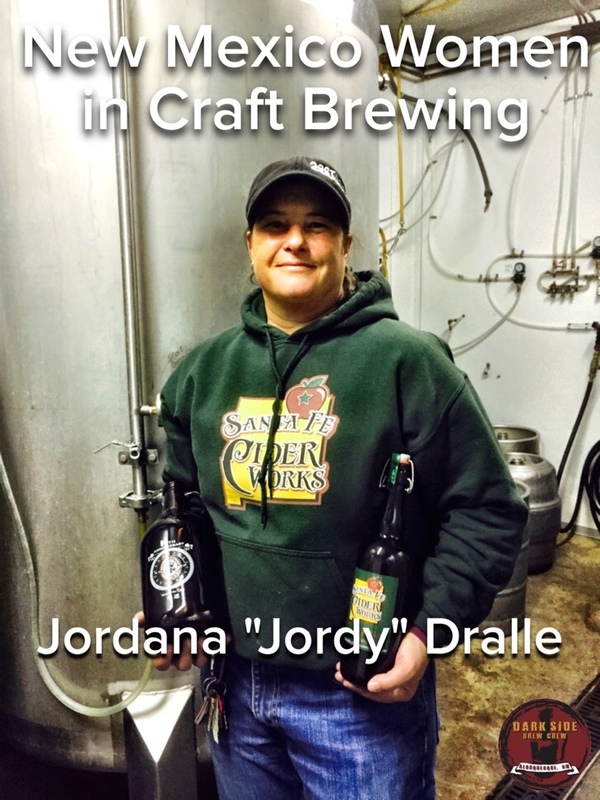 For my third article in the NM Women in Brewing Series, I sat down and had a beer with experienced craft brewer, Jordana “Jordy” Dralle. This woman is a veteran of the industry. With one impressive brewing resume, she is an excellent example of strong women with even stronger passions for their craft, making a living doing what they love. DSBC: Initially what got you get into brewing? Jordy: It’s kind of interesting. I moved to New Mexico and I had this social work job. I was about 25. I was working four days on straight through and had three days off. So in my three days I would just drive around and find things. And so I found Santa Fe Brewing Company, which was then in Galisteo, in a horse barn. And I went there and I tasted one of the most memorable beers, which was the State Pen Porter which they still have on, and I was just blown away. I had never tasted beer that was so good. And so, on my days off, I would go in there and I would label bottles for them and just try and learn as much as I could. The brewmaster Brad Krause, who’s now in South America, but he’s done a lot of brewing here in New Mexico, he was very nice and allowed me to come in, and suggested I homebrew. And I did that. DSBC: About what year was that? Jordy: That was probably 1992. DSBC: After that, did you attend brewing school or was it more hands on experience? Jordy: It was all apprenticeship. 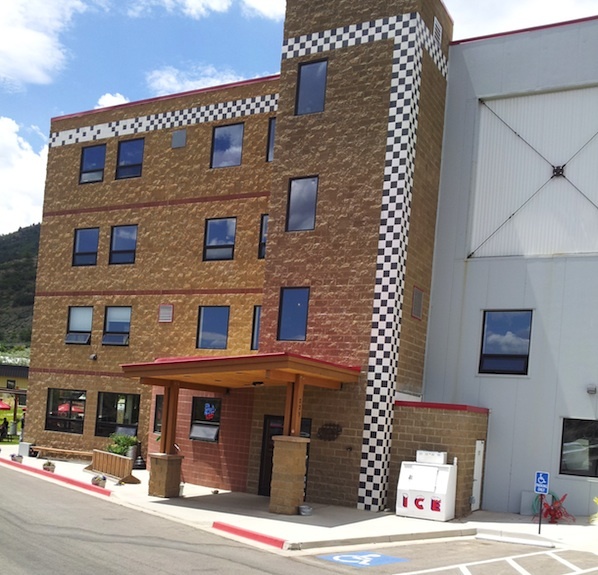 I have been to specific classes and Rocky Mountain brewing symposiums, etc. Reading. Before that, Jordy had earned a business degree from Marietta College in Ohio. A couple of her pre-brewing jobs included running a health club for a while and even working at a rental car agency. She’d been living in Chicago and her mom moved out to New Mexico. One day she came to see her and realized that she loved it here. “I was enchanted,” she recalled, laughing about it. DSBC: You have quite an impressive resume. Walk us through how you went from Dock Street, to Goose Island, to Eske’s, to Blue Corn, to Second Street Brewery, Falcon Meadery, finally to production manager at Santa Fe Cider Works. Jordy: Well, that’s a long story. That’s over 20 years of story. We could run out your tape. DSBC: That’s OK. I’m known for my long articles. Jordy: Well, as you know, sometimes getting used to Santa Fe’s a little difficult. So, I went back to Chicago, for a summer, to see if I really wanted to be here. And then, while I was there, I just waitressed and bartended at Goose Island, because I was interested by that time in brewing. And they allowed me in. And they let me watch, and apprentice a little bit there. Not a whole lot. But then I came back here. And I didn’t have a brewing job here at that time. Then I went to Philadelphia with my partner. And I got a job at Dock Street, right away, just you know, hostessing, waitressing, bartending again, whatever I could do. And they were really good about letting me in the brewery, and I washed kegs for them, did the grunt work. And finally the assistant brewer quit, and they hired me. So, that was a great base because, what they were doing in there was unheard of. It was 75 different styles per year. The brewer was British, and he was really into classic styles and really making them traditionally, which is very old-school now. So I was there for about a year, and then I went to South Africa, and I worked in a winery there, and I did a lot of the testing on the wines for sulfite content, etc. When I came back, I got the job at Eske’s. So that was my first real, on my own, head brewer (position). Well, there isn’t really a head; you’re just the brewer there. 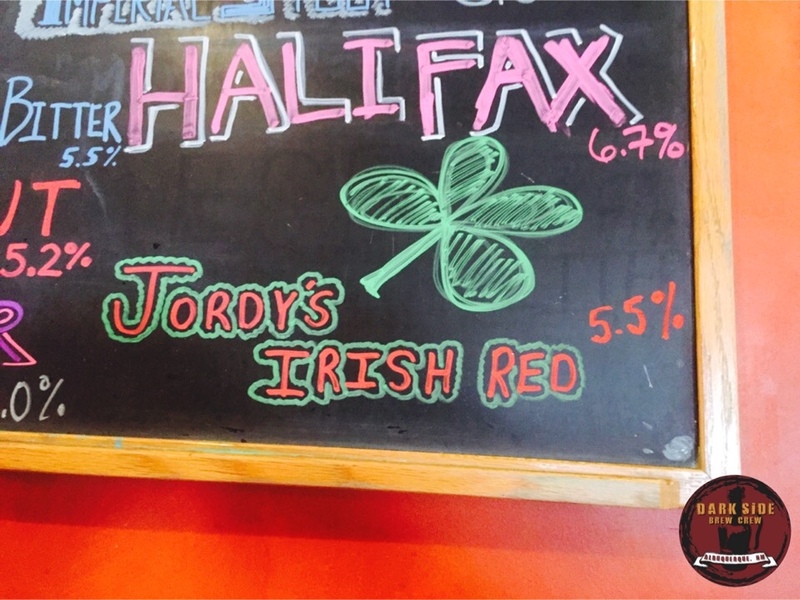 So that’s when Jordy’s Irish Red actually came in to existence. The original recipe to this Second Street spring staple was created by Dralle. She was there for a couple of years before she decided that she wanted to move back to Santa Fe. 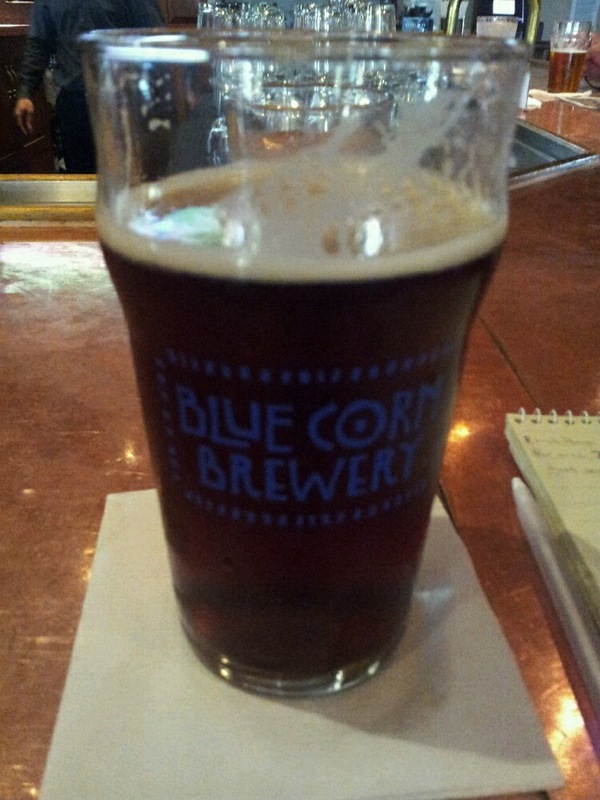 So, she interviewed around and was hired at Blue Corn, where she brewed with Cullen Dwyer. DSBC: And how long were you there? Jordy: Oh, I was there for about three years. During that time, I was (a) part-time brewer. And then they opened up the Chama River in Albuquerque, so they would send me down there. I would brew down there, too, a couple days a week, with Ted Rice who’s now with Marble. Then, I found out, somebody was leaving (Second Street), and I really wanted to brew with Rod (Tweet), and so I came here, and I’ve been here ever since, for 12 years. DSBC: And Falcon Meadery? How’d you get into mead? Jordy: I’m into everything, really. DSBC: Sounds like anything you can ferment. Jordy: Exactly. It’s all a challenge and interesting for sure. So with Falcon, I had gone to part-time here, because brewing is really labor-intensive, and my body was hurting. And so I went back down to three days here. So then I needed a little part-time something. So, I approached Darragh at Falcon, and he said, “Yeah, I could use you a day a week,” so I went and brewed mead for him for about a year. DSBC: It’s like a lot less work, but takes a lot longer, right? Jordy: Yes. It’s a lot less, I mean, it’s really simple, but you have to wait and wait, wait. DSBC: You’ve been in the business for a couple decades now, what do you consider to be your biggest accomplishments as a brewer? Jordy: I just think learning new things all the time. Learning new fermentation science. Going from one type of beverage to another, and figuring it out, and trying to get it right, getting the input on it. It’s just a challenge. DSBC: What do you find most rewarding about brewing? Jordy: Two things. Being able to drink my product at the end of the day, being able to enjoy it. And seeing other people drinking the product that we make and enjoying it. DSBC: Great answers. What challenges or obstacles do you face as a woman brewing and co-owning a business in a male-dominated industry? Jordy: You know, I’ve been really lucky. The men have been mostly very supportive and really encouraged me in a time when no women were brewing, really, back then. You have to be strong. Many women are strong. You have to lift a lot of kegs. A challenge is to gain the respect of the people around you whether they be men or women. So that they know that you can do the job. Sometimes it’s challenging to be in a place where it’s just all men, and they don’t even think you’re a brewer a lot of times. They think you’re some other person in the industry. They have no idea. So you just kind of have to speak up for yourself. DSBC: And that’s when they start to listen. DSBC: This time around I asked our female readers out there, if they could ask a woman brewer any question, what would they ask? The first question comes from Jenny M., of Bernalillo. Would you say that there’s more pressure to prove yourself as a brewer because you’re a woman? Jordy: Not necessarily. In any job, you just have to prove yourself as a person. DSBC: As a competent person. Jordy: No, that really hasn’t been an issue. For me, if the resume is good, you’re gonna get hired. Jordy: I think as far as a gender issues go, like I said before, when you’re in a giant room with a hundred men, and you’re one of only a couple women, it is intimidating. Because men tend to be more assertive, more boisterous. So yeah, that can be a little intimidating, otherwise, not really. Jordy: You know, women tend to have better palates than men, and so I think they can detect a lot more nuances. And, I think they can be a little more creative with flavor profiles, sometimes. Not just, I want a mouthful of hops, (but) layers! DSBC: Now this one’s from me again. Is there any advice you would give to other women who want to make a career as a brewer? Jordy: I think in this day and age, it would help to do a little bit of schooling first. It does seem like the days of apprenticeship are have fallen by the wayside, because of insurance problems. And I’ve tried to bring a couple of friends in here and they said, no, you can’t do that. So, I think you should get a little bit of background, and just be persistent. DSBC: What led you to brewing cider? Jordy: Well, my partner and I have been making cider at home, for about 10 years, just as a hobby. Every time we have apples in New Mexico, we find somebody with a press. And then we heard about the cider explosion in the U.S. and nothing was happening in New Mexico. And we thought, let’s just do this. On the side. So, I’m still here three days a week, and then we open the cidery for three to four days a week. DSBC: You also brew for Second Street. What were the last beers, besides this Irish Red, that you put in the fermenters here? Jordy: Well, I do a German Pilsner, I do a Schwarzbier, a Saison, the Buenos Dias Porter, which is an Oatmeal Porter. So Rod’s more of a hop-head. I’m more of a malt-head, and I’ve done more lagers. DSBC: Which is your favorite style to brew? Jordy: All beers are fun to brew! That’s a tough question. (Laughs) I’d say, an interesting beer to brew is a Saison, because you have to put a lot of things in there. There’s a bunch of spices, and you have to get the honey in there. The type of honey that you get is really important. The right type of yeast. And it could go horribly wrong. That’s very challenging beer to make. 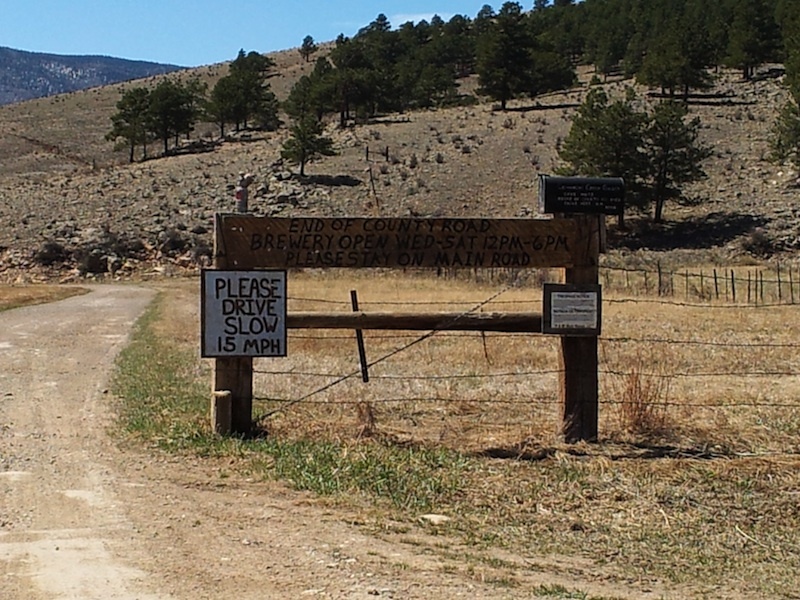 DSBC: And the damn temperature! Gotta get that right. 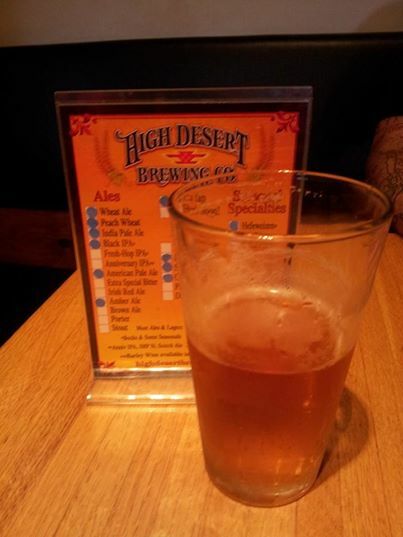 DSBC: Finally, because we’re all just people who enjoy a good brew, whether it’s cider or beer, what’s your favorite drink to sit down to after a long week? Jordy: Well, I love cider, but still, at the end of the day, I’m a beer girl. You know, having been a brewer for 20 years, I’m still a beer girl. Jordy’s been making cider at Santa Fe Cider Works for about a year and a half now. In their first year, they produced around 50 barrels. The cider is currently available in 750 ML bottles, mostly in Santa Fe, but that may change very soon. According to Jordy, what makes their cider special is their attention to detail, keeping it very natural. The cider is a more old-world, colonial type cider or European farmhouse type of cider. They do very little to it, except to age it. And they’re really committed to using only fresh, local apples, as much as possible. Be sure head out to Skarsgard Farms for their cider festival on May 2 and you may get to meet Jordy and talk beer, mead, or cider. Take your pick. 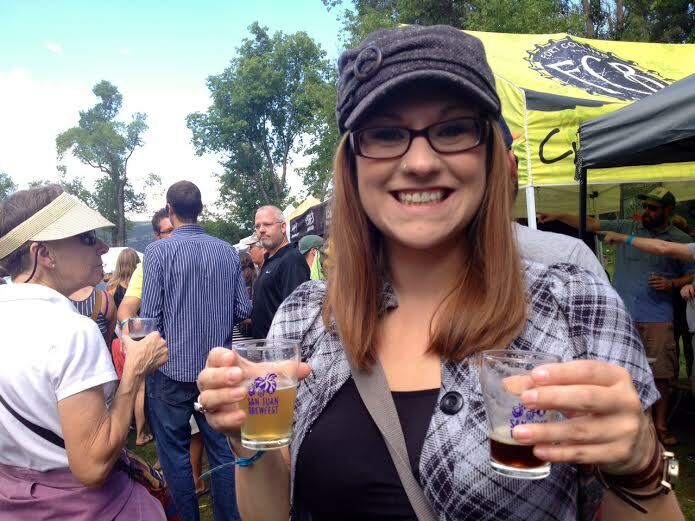 If you can ferment it, she’s probably done it, and for that, Jordy Dralle, the Dark Side Brew Crew salutes you! 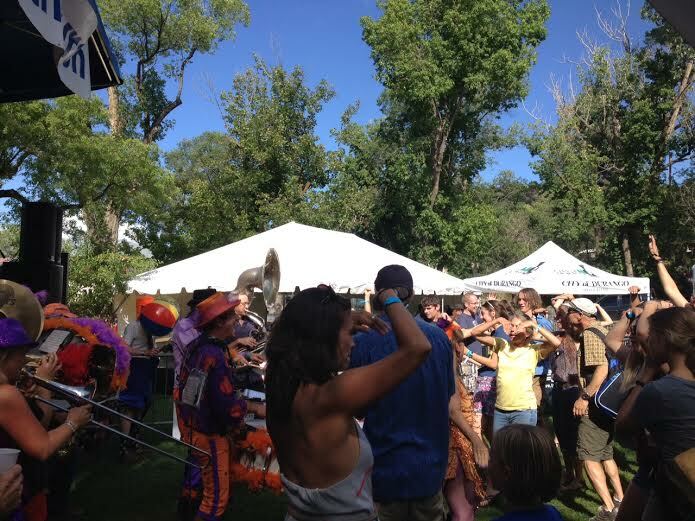 Ah, yes, it’s that time of year when I have to cover a football game and not go to the Taos Brew Master’s Festival. Of course, the rest of you don’t have to write about the New Mexico Bowl to pay for future beers, so you might as well hit the road Saturday afternoon and go to the Taos Ski Valley for this annual event. It costs $25 and runs from 4:30 to 7 p.m. at Tenderfoot Katie’s and the Martini Tree, which are located at the base of the Chair 1 lift. Down there at the bottom of that ski lift is the Taos Ski Valley, where they will be holding the 19th annual Brew Master’s Festival this Saturday. 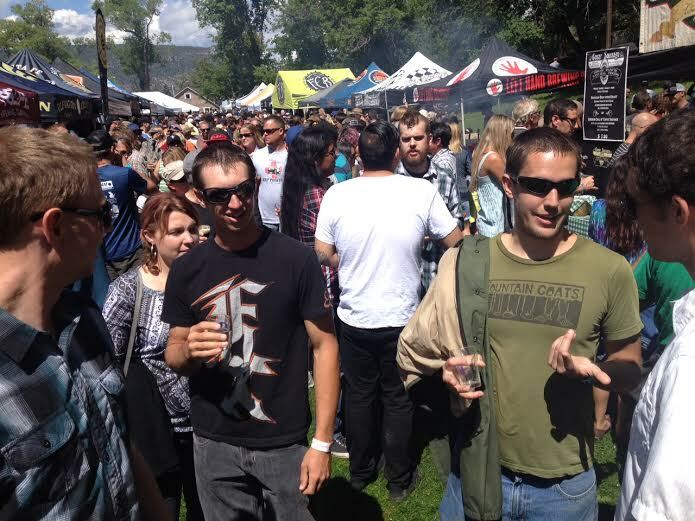 Of course, the attraction of every beer festival is the beer on hand. This year’s TBMF has a lot of out-of-state breweries participating. Most are from Colorado, including heavyweights New Belgium, Odell, Oskar Blues, Boulder, Ska, and Left Hand, plus Durango’s Steamworks, which doesn’t distribute to our fair state. There’s also Alaskan and Sierra Nevada, which are available just about everywhere. Local boys Eske’s and Taos Mesa will be on hand, plus seven breweries from further south including Rio Grande/Sierra Blanca. The rest we did our best to find out who’s bringing what for you to enjoy. Here’s what they all said. Back Alley: Ladron’s Peak, California Common, Belgian Wit. For anyone that hasn’t had the rather unique Ladron’s before, here’s your chance. Boxing Bear: We didn’t hear back, but if you get some Standing 8 Stout, you’ll be good. Marble: Reserve Ale, Double IPA, White Out, Imperial Stout. This year’s Imperial Stout batch is quite wonderful, as is the Reserve. Santa Fe: Happy Camper IPA, Java Stout, Scotch Ale, Dirty Blonde Ale, Double White IPA, Sour Porter. 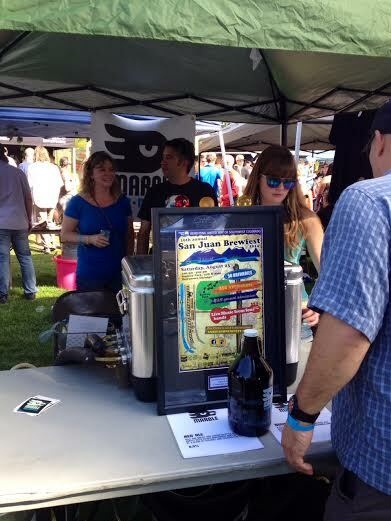 There will also be a “secret beer” that you can get by looking up the password via SFBC’s social media pages. Tractor: Mustachio Milk Stout, Farmer’s Tan Red Ale, Farmer’s Almanac IPA. Basically the canned beers, but it’s hard to go wrong with Mustachio. Turtle Mountain: Heidelberg Helles, Saison Du Soleil, India Stupid Shell (a 50/50 blend of Hopshell IPA and India Stupid Ale), Piedra Lisa Porter. The porter and helles are quality beers. Let us know how that hybrid IPA turns out. If we hear back from Boxing Bear before Saturday we will update this list. Enjoy your beer weekend, folks, but if you can’t make it to Taos, visit Chama River for Obey the Darkside Stout or Canteen for Dark Side Baltic Porter or, heck, visit both!